I figured it’s been a while since I last posted a cake recipe, so I decided to take action. Never mind that it’s gone totally freezing and horrible in the UK and the thought of a warming oven sounds like a very reasonable idea. And oh, that comforting baking smell! I really think that the smell of freshly baked goods has a damn fine psychological effect – it must trigger some kind of happiness pheromones or whatever you call them! In fact, I once had a housemate asking me to specifically bake when we’d have flat viewings, so that people would get a favourable impression of the premises… And it worked. Now that I think of it, I have a hunch that I should get together with an estate agency and be paid to bake in flats that are a tough sell. I guarantee that would instantly turn their luck around! Anyone in the housing business reading this? Get in touch! Haha! Right, so over to this week’s recipe. As you might notice, I’m still in fig land and making the most of their season! 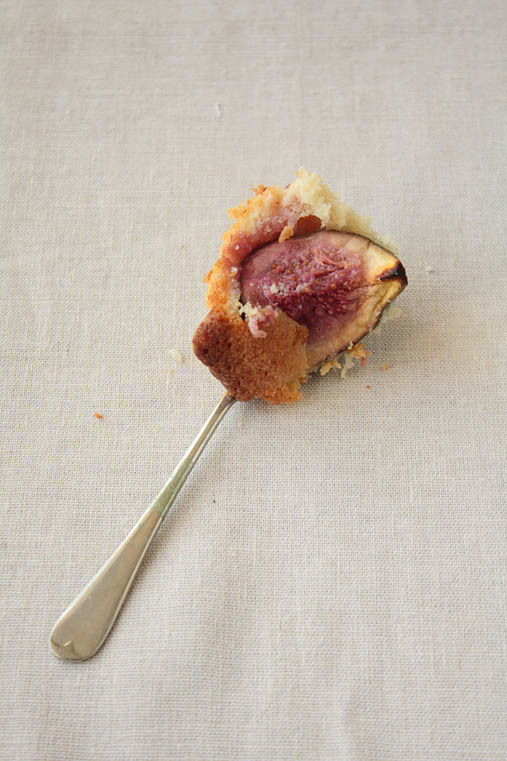 I’ve only ever baked with dried figs – adding them to stollen and fruit loaves, but never actually used fresh figs in a cake. So, I’ve decided to make a very classic buttery cake base but give it a twist by adding orange blossom water to it. Preheat the oven to 180° celcius. In a small saucepan melt the butter over a low heat. Once it’s melted keep it cooking for a bit until it’s turning frothy and slightly brown. Beat the eggs and the sugar in a bowl. Add the flour, baking powder and orange blossom water. Whilst beating, add the browned butter and work into a smooth dough. Divide the batter between 7 muffin tins or pour into one loaf tin. 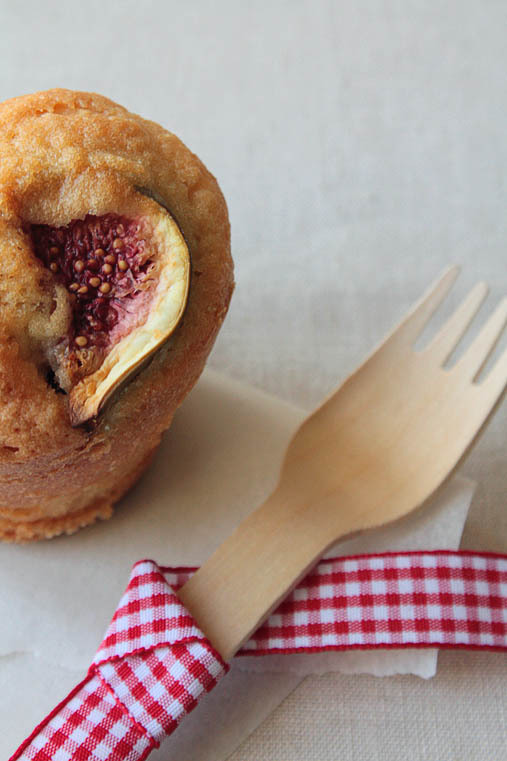 Cut each fig into four and stick one fig pieces onto the batter of each muffin. 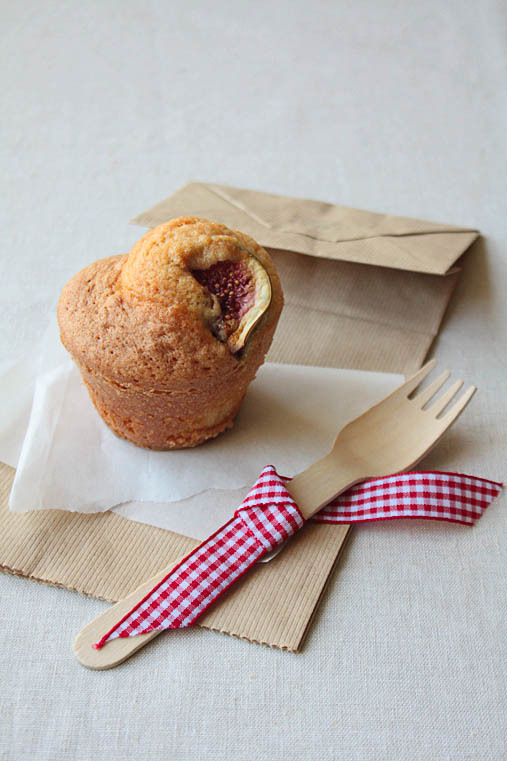 Bake the muffins for about 30 minutes (if you make a cake bake it for about 50-55 mins) or until golden and a wooden skewer inserted into the muffins comes out clean. this just looks and sounds divine! 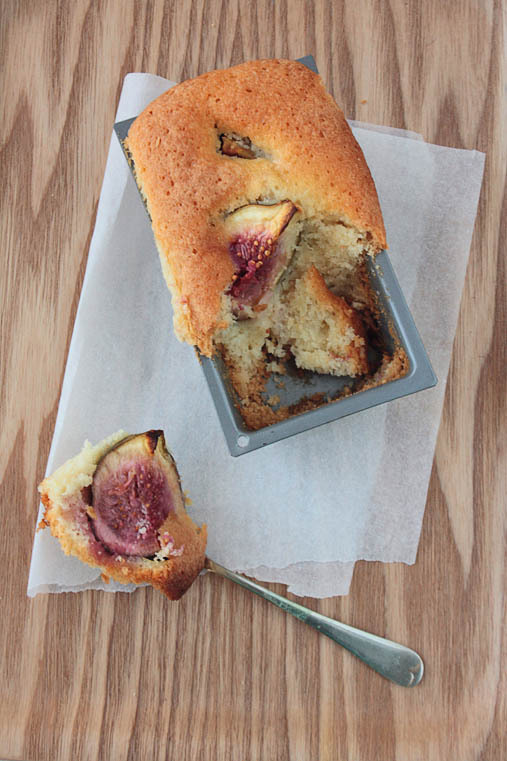 I love anything with figs, and orange blossom water is a nice touch! Looks wonderful! Love the flavors! I love the combination of figs and orange blossom water. I’d love for you to submit one of your beautiful photos, and a link to your post, to my new baking photo gallery showcasing the best baking, desserts and sweets on the web. Splendid photos and I am sure it taste better than it looks! I love the look of these cakes! So pretty, and the figs stand out so nicely in the tops. this recipe sounds and looks amazing! I was just wondering, what should the muffin tins or loaf pan be greased with, and, in the case of the loaf tin, does a certain size work best? Thanks. grease the tins with butter or with oil, whatever you have at hand. As for the size of the loaf tin, I’d say a small one between 20 and 25cm length is best.